I’m trying Win this weekend. Hoping it will save my favorite running bra. I do not separate my clothes, though I’m sure I should! I do not separate work out clothes in the laundry, just add them in with all the other dirty clothes 🙂 Entered! I had never heard of WIN, glad you shared. I’m interested…I’m a football mom and anything to keep away that locker room odor is appreciated. I may have missed it….what retailers sell it? Confession: I am awful with laundry. I wash EVERYTHING together. Yikes. This would be awesome for my smelly fiance! His work clothes are awful! No matter what I have used it doesn’t complete remove the odor! 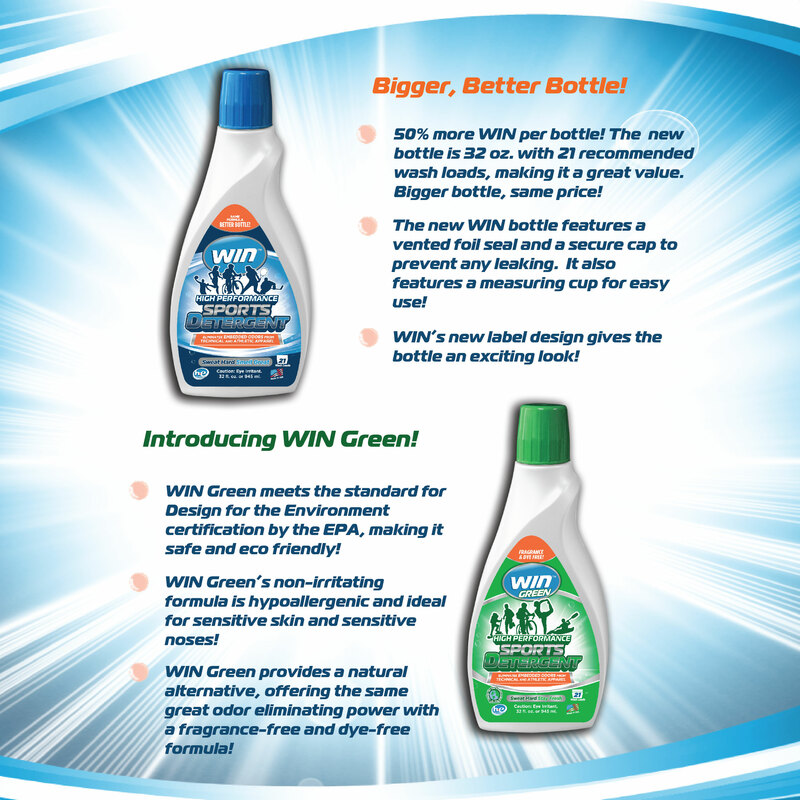 Thanks for sharing about this awesome detergent! I LOVE Win!! And yes, I separate my workout clothing from my regular clothing! Jenny recently posted…5-hour ENERGY yummification contest winners announced! Sara R recently posted…Cocoa Cravings Cacaos Chocolate Review & GIVEAWAY! I don’t separate my work out clothes unless I have my son’s sports clothes to wash as well. I hate doing laundry so no separate loads here. I thought about it but haven’t really up until now. I don’t. I wash them together.